In a Nutshell: Open source technology projects have produced many of the biggest innovations of this century. Blockchain and Hyperledger technology is paving the way for new methods of conducting business, signing contracts, or exchanging currencies worldwide. 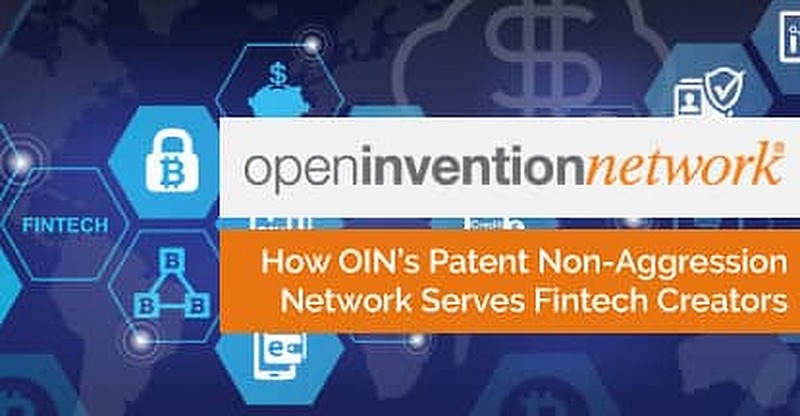 The Open Invention Network is the largest patent non-aggression network in the history of technology with 2,412 members who work cooperatively to further innovation without the fear of lawsuits over technology rights. OIN uses its vast patent portfolio to help its members fight off lawsuits from larger entities who use their size and litigious power to attempt to force their software into projects and slow the growth of Linux-based technologies. In the past, OIN has helped companies, like Google and Salesforce, protect themselves in their early stages of development against major patent lawsuits. The year is 1975. The setting — a hip coffee shop in New York City. You’re admiring the feel of your new lime green polyester shirt when you notice an employee of the tech company IBM walk in. The man spots a rival from Hewlett Packard at a corner table, stops in his tracks, does an about-face spin on his platform shoes, and leaves the shop without a word. That may seem awkward today, but amid the technology-based antitrust lawsuits that crammed courtrooms in the 1960s and early ’70s, employees of rivals companies didn’t want to be in the same room with one another, let alone drink from the same pot of coffee. Today, open-source technology like Linux unites developers once considered rivals for the sole cause of creating a better future. “Fortunately, we’re now in an environment where everyone — from industry to government leaders — have accepted that the way to create higher levels of innovation is to allow people to collaborate cross-organizationally to solve problems together,” said Keith Bergelt. Keith is in a position to know more than most about the state of open-source development. 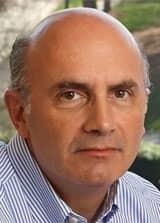 He’s served for more than a decade as the CEO of the Open Invention Network (OIN) — a defensive patent pool and the largest patent non-aggression network in the history of technology with 2,412 members. The network files and acquires patents that can be used royalty-free by licensees with the purpose of furthering innovations like Blockchain and Hyperledger technology. The patents can be conveyed and used to help smaller companies fight modern tech giants who leverage expansive patent portfolios to force their software into new technologies in return for the easing the threat of lawsuits. An example was the 2003 suit filed against OIN founding members Red Hat and Novell that threatened to slow the momentum Linux had built over the previous decade. Initial rumors had Microsoft funding the litigation to slow the spread of the open-source platform that threatened its empire. Those rumors were later substantiated. Following the suit, Red Hat, IBM, Novell, Philips, Sony, and the NEC each contributed $20 million to fund and form the OIN, and Google became a board member in 2013, and Toyota in 2016. The network’s license and code of conduct outline how open source is used, but allows technology founders to remain in control of proprietary technology. The Microsoft lawsuit wasn’t the first — or last — use of patents to pressure smaller companies into using pricier software or hardware solutions. OIN’s growing patent portfolio is often used to help level the playing field in patent-aggression lawsuits. Keith Bergelt is the CEO of the Open Invention Network. The patent-sharing system has worked for smaller companies that succeeded in litigation and later grew into much larger corporations. A 2010 patent-infringement lawsuit brought against Salesforce by Microsoft was settled for much less than the tech giant expected thanks to the help of OIN. Keith added that when patents are conveyed to companies to fight patent-related lawsuits, members of the OIN network are still allowed access to the patent license in perpetuity. Restrictions are placed on the transfer to make sure the patent can never be used against the open-source community. The goal is to protect innovators who use open-source technology. OIN has spent more than $100 million on filing and acquiring patents in the open market. Keith said the organization adds “several hundred” new patents every year and all are offered to licensees with unlimited field of use, whether their work takes place in Linux or not. The patents provide freedom of action and a patent no-fly zone in the core of Linux. The peace of mind OIN provides to developers allows them to create new innovations within the Blockchain that have future uses that may not even be realized yet. Current open-source projects are developing ways to manage cross-border train traffic for cargo and passengers in Europe. Power Companies are adopting blockchain technology for their grid management. “There are very few industries that utilize software and are not touched in some way by open-source technology and are starting to adopt OIN as a vehicle to deal with what happens in their core,” Keith said. Keith said he envisions one of the next big leaps in blockchain technology coming from the automotive industry. Current plans are also underway to use the technology to drive what many are expecting to be the future of automotive technology. The Open Invention Network has spent the last decade bringing together open-source developers and companies of all sizes with the common goal of cooperatively building upon technological advancements. OIN has helped its members through the conveyance of patents to ward off unwanted advances and patent-aggression lawsuits that slow or halt the development of new innovation. While Blockchain technology has become synonymous in recent years with the explosion of the value attributed to Bitcoin and alternative currencies, and the ensuing media frenzy, Keith said future uses for the technology will outweigh the current trends. As OIN expands and evolves over time, Keith said he sees a future where the network only increases its size and influence in the open-source community.